Styling the hair as per the fashion trends have always been a craze among the younger generations, especially when it comes to coloring the hair. Young men and women use almost all kinds of color that go with their image to look cool, stylish or funky. While the younger lot uses the hair dyes to make a style statement, the middle aged and the older individuals color their hair to cover their grey hairs. Maybe they do not use funky colors, but they do dye their hairs to cover the grey hairs. In short, some way or the other, usage of hair dyes has become an important part of our lives. Not sure if you ever tried to color your hair, but if you are considering coloring your hair and wondering how to do it on your own at home, using natural ingredients, then here’s the post worth checking. It is perfectly Ok to color your hair at home, but the problem occurs when one start using the chemical based commercially available products to dye, and end up damaging their hairs more. The simple reason is the chemicals found in most of the dyes may be harmful. But, let me ask you; have you ever considered the fact that coloring the hair can also be done using the natural ingredients? And if you haven’t tried it yet, then you must give it a try. Natural remedies to color your hair are much more cost effective and safer than the commercial hair dyes found in market. Undoubtedly, the natural colors are always the best. So, if you are planning to switch to natural ways to color your hair to hide the grey ones, then keep reading this post. Today I am sharing the list of 11 easiest ways to color your hair naturally at home. I know colored hair looks stylish and funky but you also need to keep in mind that your hair has to be healthy and strong to look good, and for that the natural ingredients are just perfect. This is because the commercial hair dyes may effectively color the hair but will never be able to provide your hair with the nutrition which your hair requires. 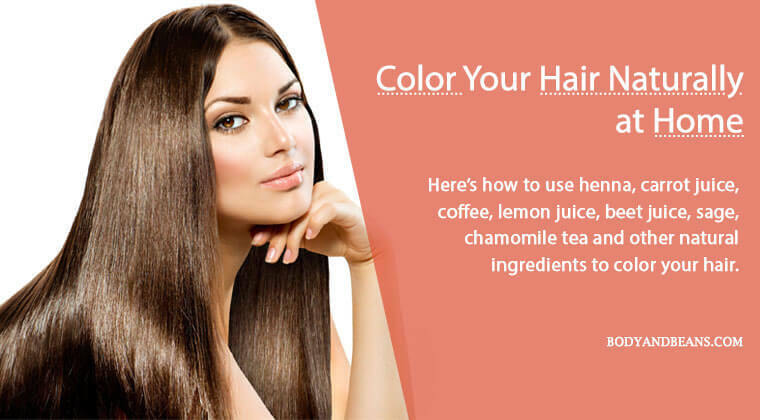 Instead, in most cases, the chemicals make the hairs rough, dry and lead to immense hair fall, so it is wise if you ditch them and rather try these awesome ways to color your hair naturally at home. Based on my personal experience, I can confirm you that you will not be disappointed. We all love our hair, so if by using few natural ingredients, we can serve both the purpose of making our hair look stylish as well as making it strong, I think it is completely worth it. So, are you ready to know about the easy ways to color your hair naturally at home in details? I think you are, so let us begin the discussion. Nature has provided us with many ingredients which if you use in the proper way can give you lot of health and beauty benefits. Similarly, as far as coloring your hair naturally at home is concerned, there is a particular set of ingredients that you may consider for best results. Listed below are some of the best natural ingredients that you can use to color your hair naturally. Henna is certainly one of the most popular natural ingredients which many of us use to color our hair at home and I can confirm it is completely worth it. This is because not only does it gift your hair with a rich red hue, it is highly efficient in covering all of your grey hairs. And, it has several hair and scalp benefits as well, so if you use henna, you will get that rich red color as well as you will be able to keep your hair nourished and healthy. Henna, in itself is great for your hair but I would recommend you to use the amla powder and coffee powder along with it as that is going to further magnify its good effects. How to use it– Take around 1 cup of henna paste, 3 tsp of amla powder and 1 tsp of coffee power, mix all of them in a plastic bowl and make a smooth paste out of them. You may add some water in case the paste becomes too thick. Now, put on your gloves and apply the paste carefully on your hair using a brush. Let it stay for an hour and then wash off using a mild shampoo, preferably a one which is free from sulphate. If you do this twice monthly, I am sure you will get the color that you want. If you are a funky person and love to paint your hair reddish orange, then carrot juice is certainly the best option for you to try. Carrot is equally nutritious and so it can provide your hair with the nutrition that it requires to be healthy. Moreover, the color it gives on your hair also effectively covers the grey hairs, so it will be a good bet on your part. How to use it– Take a carrot and extract the juice out of it. Now, mix the juice with carrier oil like coconut or olive oil. Apply the solution on your hair liberally and wait for an hour to allow it to sit. You may rinse your hair with apple cider vinegar after that to get that shine. Repeat the remedy weekly in the initial days until you get the color you desire. The dark brown color in most cases, suits perfectly well with the Indian skin tone and if you want to dye your hair dark brown, then you must definitely go with coffee. However, it may not give you a drastic change or may not give you results for long but the color it will provide will be enough to cover up your grey hairs properly. How to use it– First of all, you have to brew a strong cup of dark-roasted coffee and then follow any of the two methods as per your wish. Now, in one method, after cooling it, you must pour this coffee into your hair while massaging it, wait for 20 minutes and then rinse your hair using normal water. Alternatively, after brewing the coffee, you must mix half cup of the coffee with around 2 tablespoons of coffee grounds and 1 cup of leave-in hair conditioner. Now, apply the mixture on your hair. Keep for 1-hour and then wash your hair. You can repeat the coffee remedies two times on a weekly basis for the benefits. If you are looking for permanent benefits, then lemon juice is one of the easiest ways to color your hair naturally. It will slowly strip your hair off its pigment, leading to lightening of the hair over the time. But, lemon juice can dry up your hair too much, so you may like to use almond oil or coconut oil which will add to the nourishment factor in this remedy. How to use it– Take around 2 tablespoons of coconut oil or almond oil and then mix with 1 tablespoon of lemon juice. Now, massage the solution on your scalp and do that down up to the tips of your hair. Once, the entire hair is covered, wait for half an hour and then wash off using a sulphate free mild shampoo. You can apply this remedy once or twice every month to get satisfactory results. Beets are not just healthy for your body; they are healthy for your hair too. Loaded with vitamins and several other nutrients, your hair becomes strong and healthy after every usage. And, as far as the coloring goes, beet juice will also help you to add that perfect reddish tinge to your hair. Hence, it is definitely one of the best ways to color your hair naturally at home and I want you guys to try it out once and experience the results yourself. How to use it– There are two combinations you can use while using the beetroot remedy. In the first one, mix the beet juice with any carrier oil like coconut oil or olive oil and thenliberally apply the mixture on your hair. Wrap your hair and wait for around 1 hour. After that, wash it off. In the other method, you may add the beet juice with ginger and any of your favorite essential oil. Now, pour the mixture evenly on your hair and massage properly. Let it stay for an hour and then rinse it off. Use it once weekly in the initial days for that healthy red glow. Sage is the best option for someone who is OK with his/her natural hair color but wants to darken it more. In other words, if you have brown hair or black hair, sage will help you darken the color and make it deeper and richer. This is also very effective in covering the grey hair. So, it is worth a try. How to use it– Take a quart of boiling water and steep around 1 cup of dried sage for minimum half an hour. You can do it more even as the more you steep it, the darker will be the tinge. Now, let the water cool and then strain it. After that you go and wash your hair, towel-dry it and then pour the sage water over your hair as evenly as you can. Stay for 15 minutes and then wash your hair. You may also use the sage along with rosemary essential oil to enjoy the added hair benefits of rosemary. For that, you have to take 2 cups of water and boil the sage leaves in it. After it cools, collect it in a jug and add few drops of rosemary essential oil in it. Now, pour the solution on your hair while massaging it. Leave it for around 10 minutes and then wash off using a mild shampoo. Do the remedies two times a week to get the maximum benefit. If you have got blonde hair and want to make the color finer, or if you are eager to have those natural blonde highlights, then chamomile tea is the one of the best ways to color your hair. It will give you your desired results and will also not damage your hair. How to use it– Take around half cup of chamomile flowers and steep in boiling water. Continue for 30 minutes, cool it and then strain the flowers out of it. Then you wash your hair and pour the tea on your damp hair minimum 10 times. Stay for around 15 minutes and then wash your hair again. Weekly usage of this remedy will give you very satisfactory results. You may be wondering about how come it is so effective in coloring the hair? But let me tell you that it is the perfect ingredient to get that darkening effect. Soy sauce adds pigment which gives you dark shiny hair. And, I want you to add apple cider vinegar to it as well for that perfect shine that you want in your hair. Plus, apple cider vinegar also keeps your hair clean, so all of the dirt from your hair will get removed after every rinse. How to use it– Take half cup of soy sauce and apple cider vinegar each and combine the two in a jug. Now wash and condition your hair. After you haverinsed the conditioner, pour the solution evenly on your entire hair. Do not rinse it further and let it air-dry for best effects. However, if you are prone to cold and cough, then you can rinse your hair after that but do it very mildly so to preserve as much of the solution on your hair as possible. You can regularly rinse your hair with the soy sauce-apple cider vinegar solution for best results. If you are looking for an ingredient which can darken the color of the hair and hide the grey hairs perfectly, then you can keep the black pepper as an option for yourself. And, in this remedy, if you want, you can add little bit of yogurt as well because it will take care of the conditioning part. How to use it– You need around 2 grams of black pepper and a cup of yogurt. Mix the two well to get a perfect paste. Massage the mixture properly on your hair from the tips and then after 1 hour, wash off your hair using a sulfate free shampoo. Do this remedy three times weekly for maximum benefits. Just one warning I would like to tell you which is when you are applying the mixture on your hair, please avoid any kind of contact with your eyes, because it can lead to irritation. Calendula remedy is one of the easy ways to color your hair naturally especially if you have got blonde hair and want to add golden highlights to it or if you brighten your red locks. Calendula is a very potent herb which will give you the satisfactory colors as well as will not damage your hair. I want you to add bit of honey to it as well for moisturizing and conditioning your hair. How to use it– Take some calendula flowers and put themin a cup. Now steep into boiling water. After sometime, add some honey into it and continue steeping. Then remove it and after cooling it, pour the mixture into your hair evenly. Do not forget to wash your hair once before pouring the mixture because it will be more effective on damp hair. Stay for around 15 minutes and then rinse off. This remedy if you do twice weekly will give you benefits. When it comes to darkening your hair, the walnut hull remedy is one of the best ways to color your hair naturally. It gives the perfect result when it comes to dyeing the brown hair which is on the verge of turning grey or has already started growing grey. How to use it– Just take the hulls and crush them to make a paste. The amount of the paste you need to make depends on the length and the thickness of your hair, so do it accordingly. Cover the mixture with boiling water and then allow it to soak for at least 3 days. After that, add 3 more cups of water and let it simmer for 5 hours. It is preferable if you simmer the paste in a pan which is not metal. Now, it is time to strain the paste and keep the remaining bits of the hulls in a cloth sack. Twist the sack very tightly so that the remaining juice gets strained. After that, boil the remaining liquid in a pot till the time it comes to a quarter of its original volume. Add a little amount of ground allspice and then place the mixture in the refrigerator for about a week. Then you will have to pour the mixture around 15 times on your hair so that it can cover the full hair properly. Keep it for 30 minutes and then wash using cold water. The method may be a little lengthy and complicated but you will start getting the effects just after one rinse. 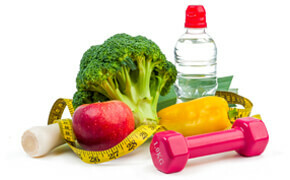 You may do the remedy two times monthly but doing it once monthly will also be effective. Over to you: How do you color your hair at home? We all love our hair and so most of us do a lot of experimentation with it especially when it comes to hair coloring. But, in the process, we often end up damaging the quality of the hair so much that we soon start facing the consequences. Our hair becomes rough and lifeless day by day accompanied by lot of hair fall. The main reason behind it is we always take the short cut and use the ready to use hair dyes which may have chemicals that besides coloring your hair harms the quality of the hair a lot. Hence, the natural ingredients are always a safer option and are also very cost effective. I have shared about 11 of such wonderful and natural ingredients which will help you get the color you desire. These ingredients will also take care of the moisturizing and the conditioning part which will keep the hair healthy and strong. Along with the name of those magical hair coloring ingredients, I have also talked about the procedures of using the ingredients. If you follow the instructions carefully and apply these remedies carefully, I feel that you will be able to gain the maximum results. So, are you planning to color your hair? Then it is time that you consider the easy ways to color your hair naturally at home. Use the ingredients to the best of your advantage and do not forget to share the feedbacks after that. If you know any other natural way to color hair, feel free to share with us. And, please do keep supporting us by liking, commenting and sharing the posts with others. Until then, stay beautiful and do flaunt your gorgeous colorful locks wherever you go.